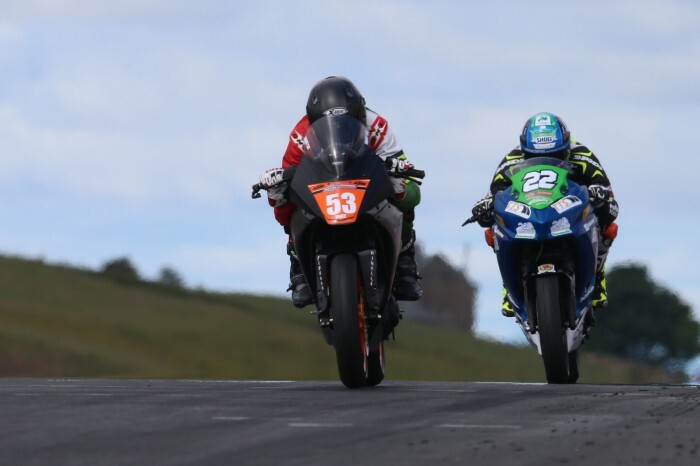 Brian Hart nearly had his first clean sweep of the season after taking a hat-trick of Dickies Junior Supersport wins, while Eunan McGlinchey pinched the other. 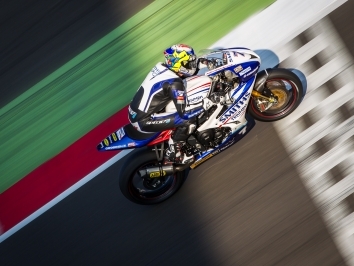 The British Talent Cup racer was on dominant form all weekend, but his hopes of a clean sweep were dashed in Sunday’s first race with a red flag that ended action early. 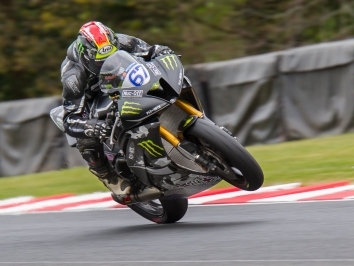 After his controversial lunge at Snetterton, provisional pole-sitter McGlinchey was forced to sit out the first race in Scotland while he watched Hart run away with victory. The KTM 390 rider storm away to the opening win, leading lights-to-flag as Elliot Pinson could merely watch in second, crossing the line nine seconds adrift of the Spaniard. In the battle for third, meanwhile, Team XG Racing’s Kade Verwey held off Jordan McCord and Will Lathrope by less than a quarter of a second in a drag race across the line to bag a podium finish. McGlinchey was back on the grid for race two, but the Northern Irishman had to start at the back of the grid after having not turned a wheel in the first scrap. But as the race got underway, it was the Hart show once again as he shot off like a rocket into the distance, pocketing a nearly two-second advantage over Pinson and AJM Sales Ltd / Reid Engineering’s McCord. Team #109’s McGlinchey, however, had made up 12 places on the very first lap, and was in the running for the podium after passing Verwey on lap seven. And despite passing Pinson for second, he couldn’t hold on and Pinson snatched the runner-up spot back as he fended off McGlinchey and Verwey for silver as Hart bagged victory nearly nine seconds in the distance. 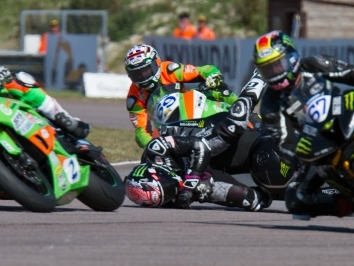 Hart unsurprisingly grabbed another holeshot in race three on Sunday morning, but McGlinchey, who started second in the grid, didn’t let him get away. The two quickly extended a gap over podium protagonists Pinson, Verwey and McCord, and McGlinchey finally found a way past at the hairpin on lap four of 15. But a few laps later, Hart hit back with the same move at Taylor’s to push McGlinchey back to second, before McGlinchey struck back again at the same corner. Their race was over, though, when Luke Verwey dropped his bike at McIntyre’s, prompting red flags which gave McGlinchey the race win from Hart and Pinson, the latter in a distant third. Hart was straight back to winning ways in the final race of the weekend, once again taking the lead early on and stretching a gap over Pinson and McGlinchey, who settled into a battle for second fiddle. But McGlinchey’s race ended with technical issues as he pulled into the pits, handing Pinson second as Kade Verwey took the final step of the podium.